Learn how to remove your shooting script from StudioBinder. Are you looking to delete a script that you just uploaded? 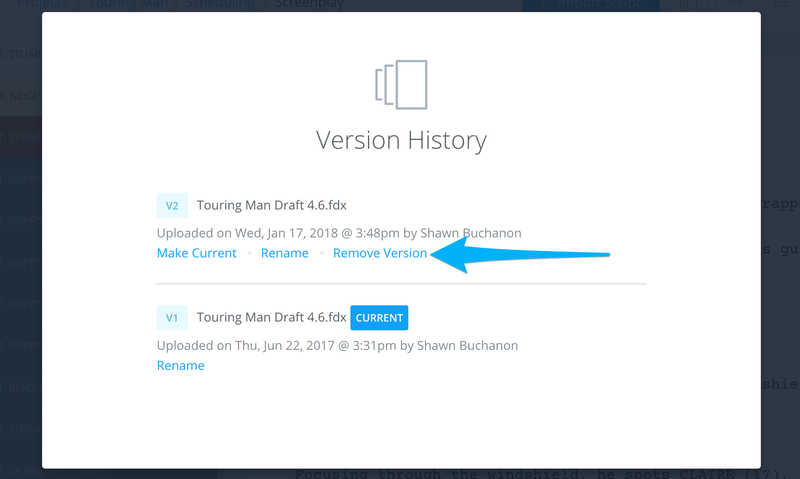 When you import a new screenplay to your project, StudioBinder automatically saves your previous draft to your Version History. 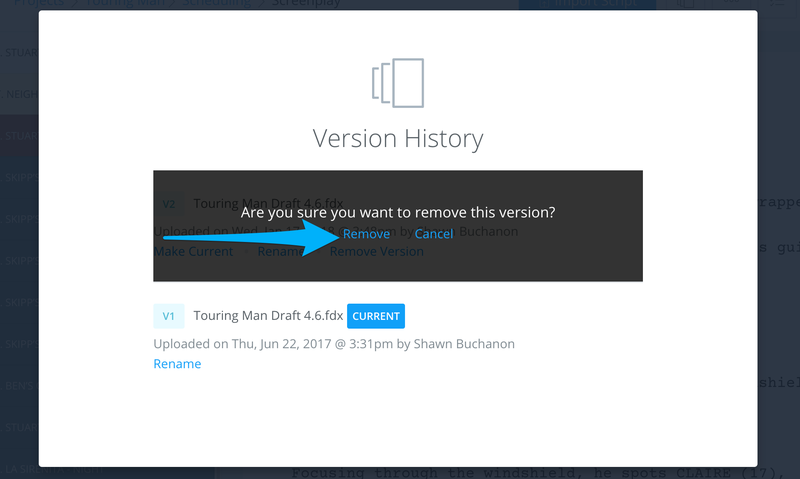 However, if you would like to remove an old draft completely, or remove an imported script, follow these steps. On your Shooting Script page, click on Version History. All of your imported scripts are available in Version History. Find the correct script, then click Remove Version. To confirm the removal, click Remove. This action cannot be undone, all data attached to the removed script will be lost.